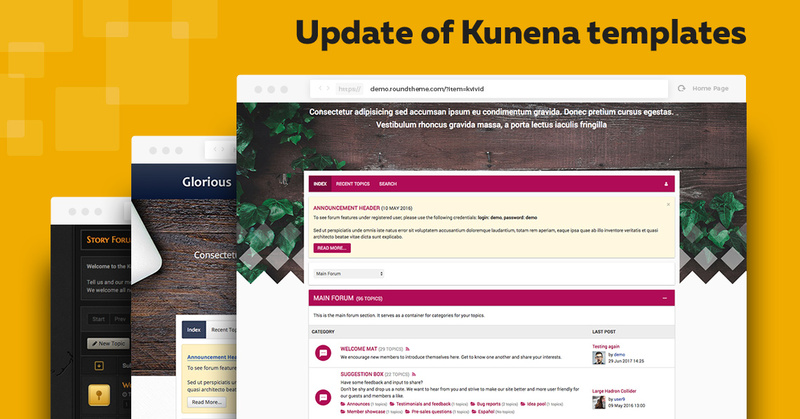 We are glad to inform that we have finished updating of template series for Kunena 5 and now all 9 templates are compatible with the latest Kunena version 5.1.6. All templates includes a security fix (Kunena 5.1.6). We recommend to keep up your site up-to-date and use the latest version of the used software. Enter your e-mail and subscribe to our newsletter and stay tuned to all news and updates of our templates.